This week I bought something that I swore several years ago, pre-FI days, I would never buy again. I bought a dietary supplement. I dread to think how much I have spent on vitamins, minerals and "wellwoman" products throughout the years. I took a lot in my 30's and 40's. I wasn't exactly swayed by every craze that was doing the rounds, but I did subscribe to the "insurance policy" idea of being able to swallow a pill and not worry too much about what I was eating. I would also try to self-medicate for minor illnesses and conditions using vitamins - skin problems, digestive troubles, tiredness, wrinkles, weak nails, I tried "cures" for them all. My parents have always taken multivitamins and they are now both into their 80's, so I didn't see any harm in them, and possibly quite a lot of good. I knew the case wasn't sealed but I was prepared to give it the benefit of the doubt (something like being an agnostic). Thinking back I probably spent about £8 a month on supplements over the course of 25 years, along with the occasional splurge on an expensive course of designer supervitamins, some of which I never even took. That's a lot of cash which, at the time, we didn't have available to waste. It was probably about 4 or 5 years ago that reports in the media about the "myth" of the multivitamin started to appear and I had a re-think, did some research and decided to stop taking supplements. I already knew that my diet had improved, as more information about how to eat for good health, and the importance of doing so, became available. My husband (who is the cook in our family) was making sure we had home cooked food and lots of fresh veg every day. I had stopped eating sandwiches and crisps for lunch and was concentrating on salads, lean protein and fruit. I knew what I was doing and I was being a lot better about actually doing it. There was no need to swallow a pill "just in case". I haven't felt the effects of going cold turkey on vitamins one little bit. However, for the last 4 months I have been suffering from a painful neck and shoulder along with pins and needles and numbness in my right arm and thumb. The doctor tells me that I have a trapped nerve due to "wear and tear" in the vertebrae at the top of my neck which has irritated the nerves and caused inflammation. It is basically a form of arthritis and there isn't a lot that can be done, apart from wait for the inflammation to subside and try to keep positive. I am sick of taking pain killers, wearing heat pads and having disturbed sleep, so I turned to Google to see if there is anything else I can try. I discovered that there there has been a lot of interest in curcumin (turmeric) as a natural aid to the reduction of inflammation in all kinds of ailments. It has even come under investigation as something that might help in depression, which some scientists are now suggesting is a result of inflammation caused by the body's immune system. So, after doing my due diligence, I decided to give it a try and ordered 60 tablets (two months' supply) for £20. I must admit the FI part of me is struggling to justify this spending. The whispers in my ear go something along the lines of : "But aren't you supposed to be cutting out unnecessary expense, not adding to it and in the course of doing so also supporting unproven quackery". On top of having the slightly sick feeling that I could be throwing money away, I also hate the way that people are routinely taken for a ride and deprived of their money by the supplement industry. At its worst it is guilty of raising false hopes of miracle cures, instilling guilt in parents for not giving their kids the latest "brain-boosting" vitamin combo and generally making big business out of selling unproven products to under-informed consumers. However, I'm still going to give my curcumin a go. Despite the fact that if things improve I will never know if it worked, or my body just mended itself and even if it doesn't work I run the danger of getting locked into the mind-frame of "give it a bit more time" and then "well, you might be worse without it". We'll see. But it does look as if I'm committing myself to £120 a year more spending. Maybe the best thing to do to make myself feel better about this is to find something to cut back on to balance this out. As part of my January detox challenge (thanks TFS) I have decided that drinks after work on a Friday will be of the non-alcoholic variety and therefore far less pricey. If I keep this up all year my health will benefit even more and I can stop feeling guilty about the curcumin. Maybe sometimes we need to indulge our need for something just because it makes us feel better, even if it isn't strictly necessary or even justifiable and allow ourselves to silence that FI imp on our shoulder. I'm counting this as one of those times. If the curcumin works then look to use cumin in recipes and then you can just buy the spice and add to dishes accordingly. That will make you feel better and not have the 'expense' of the "pills" which always cost more. Confusingly curcumin isn't derived from cumin, it's actually turmeric (the yellow powder also used in curries) and unfortunately it isn't absorbed very well in it's natural state. The tablets I have are absorbed 7x better than if it is used in cooking. Good point in general though. :-) Sometimes we pay through the nose for things that could easily be obtained by eating a little better. I've been a 'pill popper' most of my adult life, though not of the painkiller variety. Despite having always exercised, I haven't always had a healthy diet so used to take top of the range vitamin supplements - sucked into one of those crazes that you mention. These days, I do see it as an insurance policy but I just take Boots own brand multivitamins - probably just as good (or not) but definitely cheaper. You've also reminded me of the hundreds of pounds that I wasted on so-called 'miracle' skin supplements during my 30s - right when my hard-earned money could have been better spent paying off my debts. Did I ever notice that my skin was better with the supplements? Not really. Ensuring that my day cream had SPF made far more difference than anything so I'm glad I finally saw sense and stopped throwing my money away! As well as the multivitamins, I also take evening primrose oil, which appears to keep my eczema under control - coincidentally (or not) if I forget to take it for a period of time, eg when I'm on holiday, my eczema flares up. The other one I take is glucosamine sulphate. If I don't take this one, I get a pain in one of my knees during exercise. Again, this could be coincidence but well, it seems to work. Both the evening primrose oil and glucosamine I buy are shop's own brands and I buy them in bulk (240 tablets or more). My grandmother swears by omega 3 - she's nearly 90 and her memory is better than mine! That might be something for me to start taking soon, haha! Fingers crossed those tablets help you with your pain, although they do seem expensive - while I don't know what the concentration of turmeric is for the ones you've bought, when I googled, I was able to find 60 tablets for £6 (Turmeric 500mg) and also 60 tablets for £13 (Turmeric 1200mg). Perhaps it needn't be so expensive. Hi weenie. Thanks. I will do a little more research to see if I can get the turmeric cheaper but I think it's the special formulation for increased levels of absorption (BCM - 95) that I've paid the extra for. I absolutely approve of this, and all that stuff about inflammation is true - most inflammation IS CAUSED by immune system problems, which start in our gut. 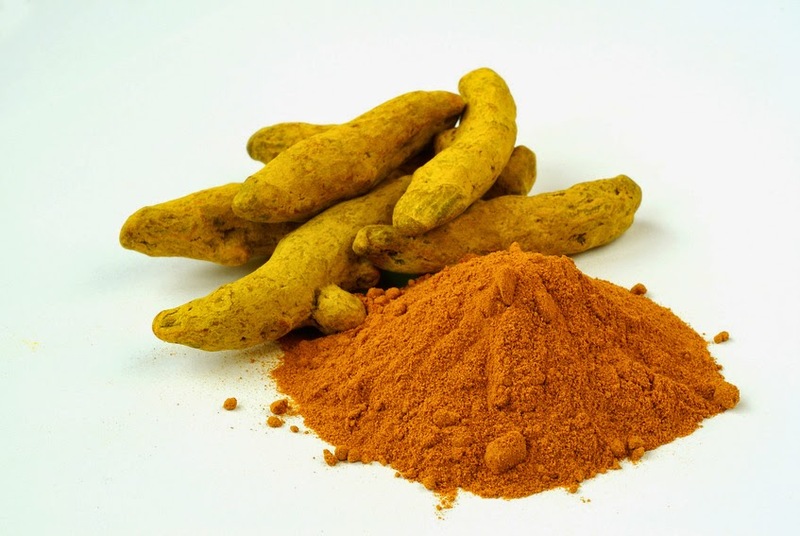 Turmeric, well, curcumin as you say to be precise, is an absolutely wonderful aid to inflammatory conidtions, including 'allergic reactions', which are often not true allergies, but an overreaction by the immune system. If you're Type O blood, you are more susceptible to inflammatory conditions apparently, so that's just something to be aware of. In addition to turmeric, I can't stress highly enough the benefits of probiotics, not just yoghurt, but kefir, rhiazhenka, any fermented food like organic miso paste, sauerkraut, and kvass. They fill your gut with good bacteria which should populate your gut anyway, and they help prevent the baddies from causing infections and 'allergic' reactions and other types of inflammation. Many thanks for your comment. I am type O blood and I didn't know this made me more likely to suffer from inflammatory complaints. Very interesting. Also, although I do take a commercial probiotic product on a regular basis, I haven't heard of the other ways to get the same result (probably more cheaply too) - thanks, I'll do some research. Interesting stuff and definitely sounds like it's worth a go if you are in such pain, and have done enough research on the matter! I love putting turmeric in stuff, its quite mild and I put it in soups and other things not just curries, so good to hear that it is having some benefit (even if not fully absorbed like in pill form). There's no question that the "supplement industry" is huge and that they prey on the physical pains of the public to push their items. I fully believe, without doubt, that turmeric, cinnamon, capsicum, ginger and many others provide real relief and other anti-inflammatory properties. However, I do not believe in the popping pill form of these supplements. You can buy turmeric, cinnamon, ginger for relative pennies compared to pill form and get the same benefit as a pill. Add it to your daily meals, mix it in with tea or whatever and gain the same benefit by consuming these items as foods rather than pills. Hi DivHut. I have started using more turmeric in our meals as well as taking the pills but unfortunately it isn't absorbed very well in its natural state. The compound in the pills has been "treated" so that it is absorbed 7X better than the power that is used in curries. The "propriety formulation" is called bcm-95 curcumin and this is what I am taking. My shoulder is very much better at the moment, though that could of course just be coincidence. Hi Cerridwen, I just came across your blog via a comment you made on libraries in Simple Living in suffolk. I have added you to my favourites for the future. Looks like we have similar attitudes to life. Are you a fellow librarian by any chance? Glad your shoulder is better. I am a sceptic on supplements. For future reference can I recommend an osteopath or chiropractor for similar issues in the future. Probably even more expensive than supplements but I have suffered from keyboard related pain for years and the only thing that keeps me in work is seeing my osteopath on a semi-regular basis. I have an Msc in Information Studies and always intended to become a librarian but somehow got diverted into IT along the way. However I still work closely with the Library service supporting the public access IT - it will always be close to my heart. You could well be right to be sceptical on supplements - I need a lot of persuading myself but the evidence for curcumin and its benefits does seem pretty solid so I'm intending to stick with it. However, If I get another flare up I may well be looking for an osteopath. References - Paul, S., n.d. FDA Approved Testosterone Boosters Research Studies! [WWW Document]. Testosteroneofficial.com ie. Testosterone Official. URL https://testosteroneofficial.com (accessed 10.29.18).